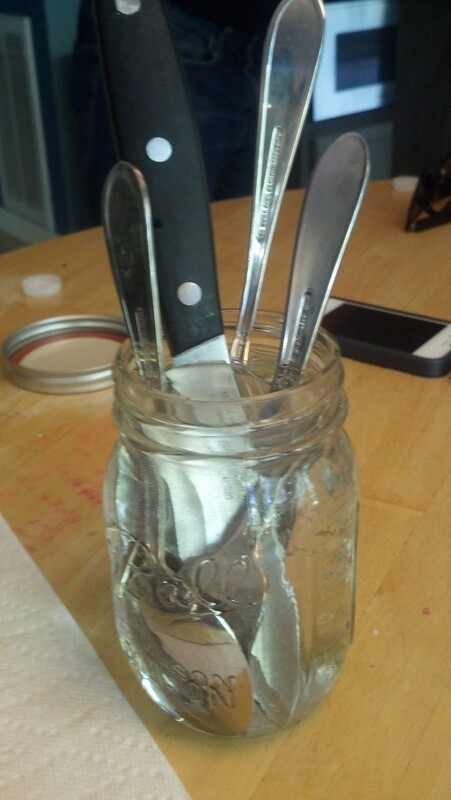 I don’t have any uncapping knives, so we kept the electric kettle on boil and filled a mason jar with hot water and useful kitchen tools. 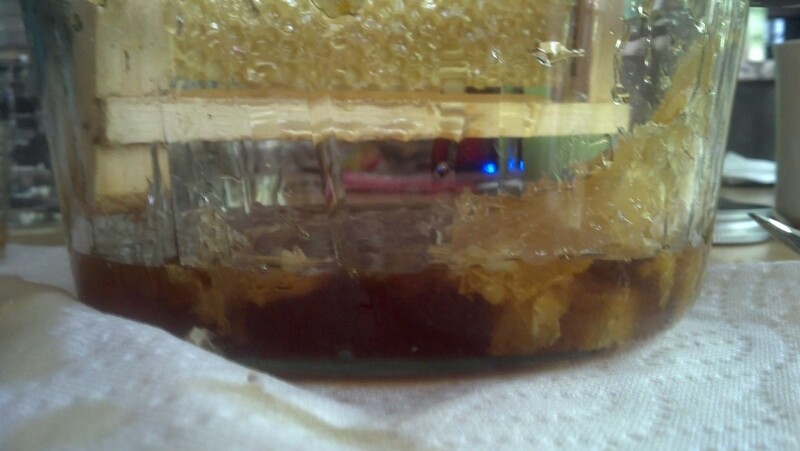 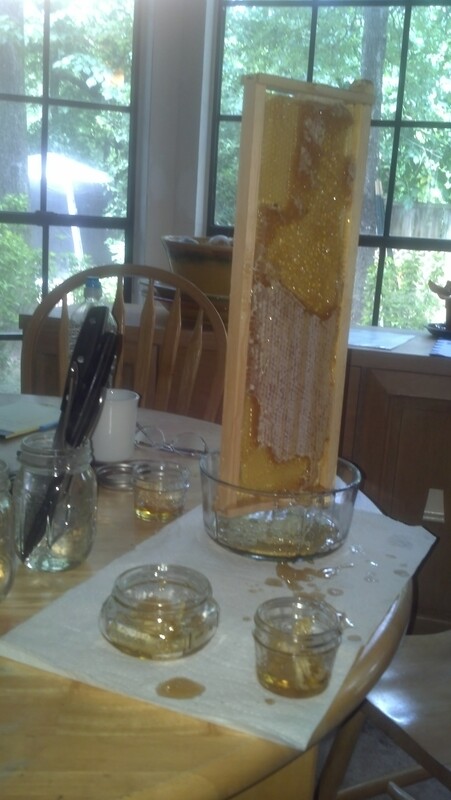 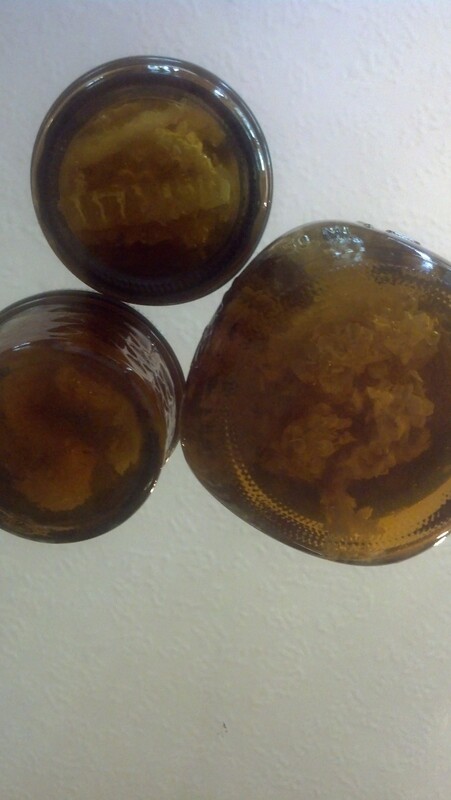 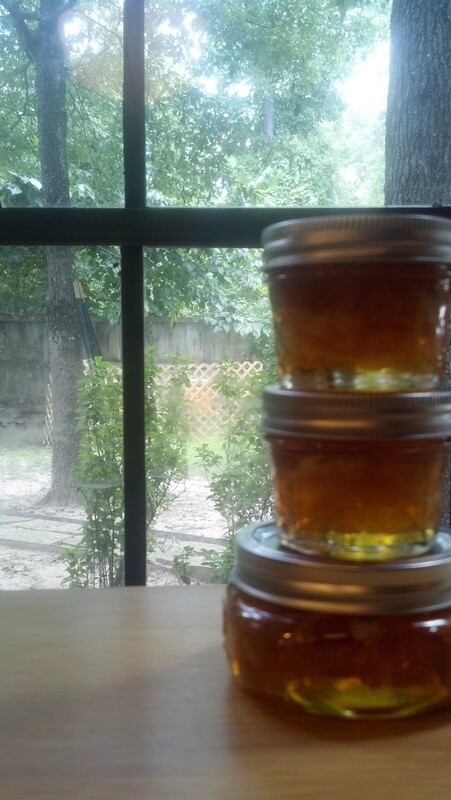 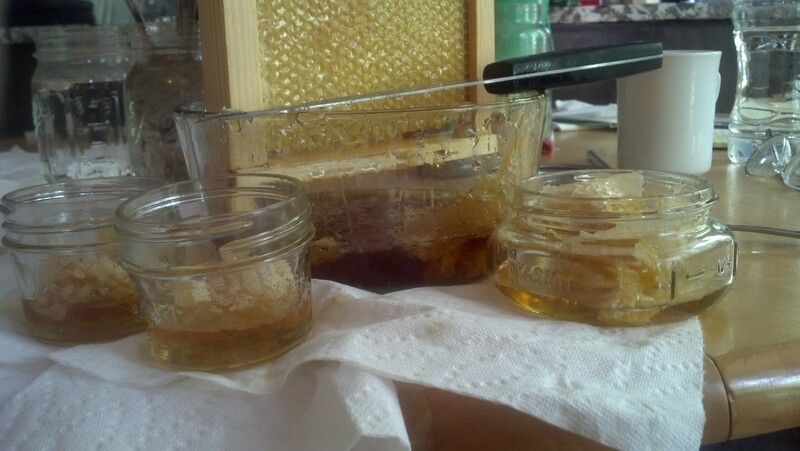 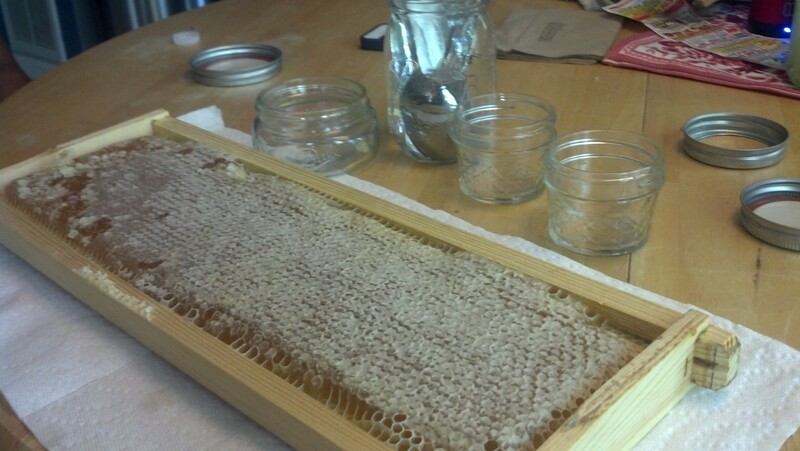 I also had smaller jars prepared to drain the honey into. 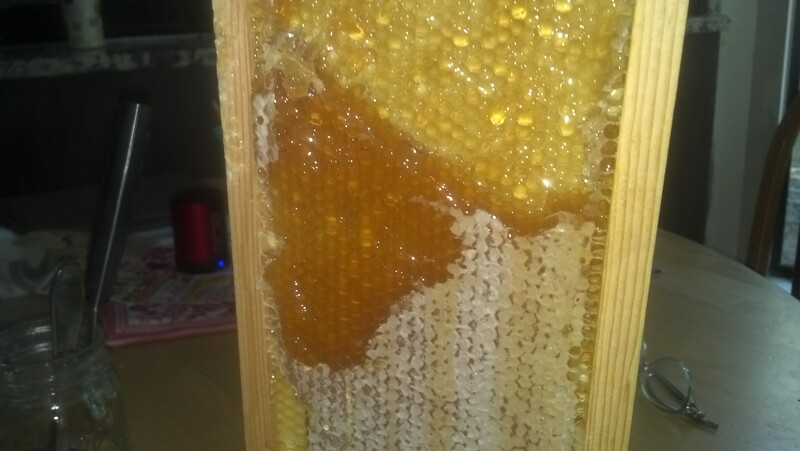 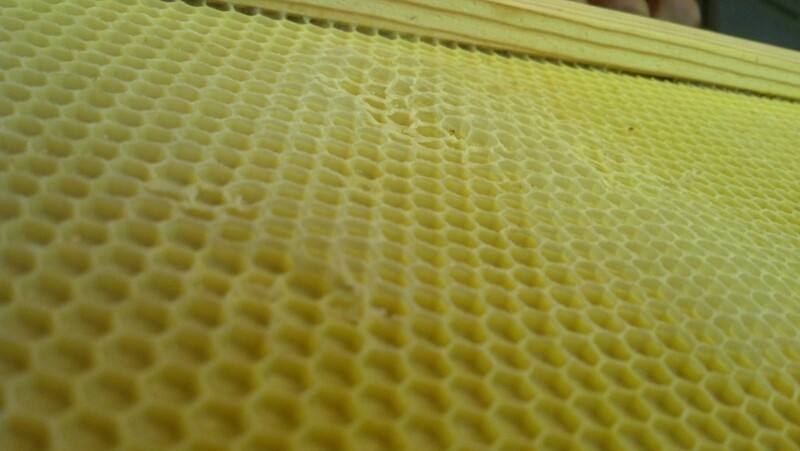 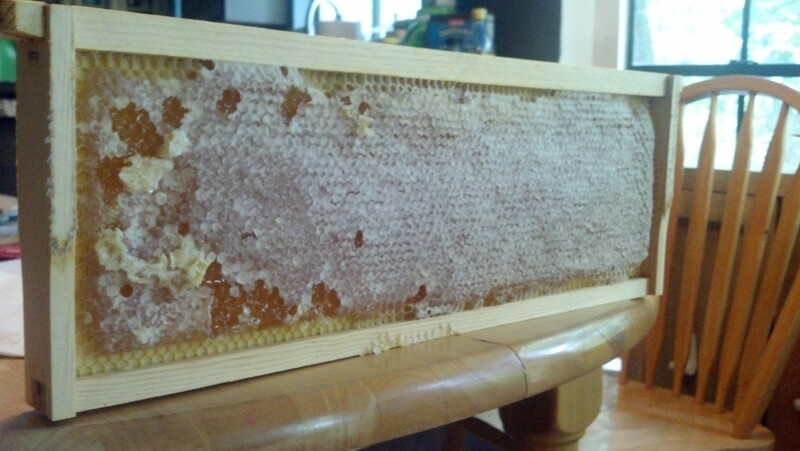 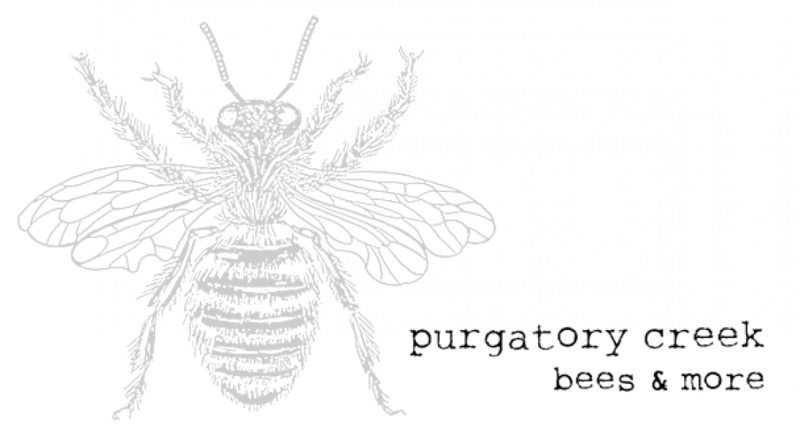 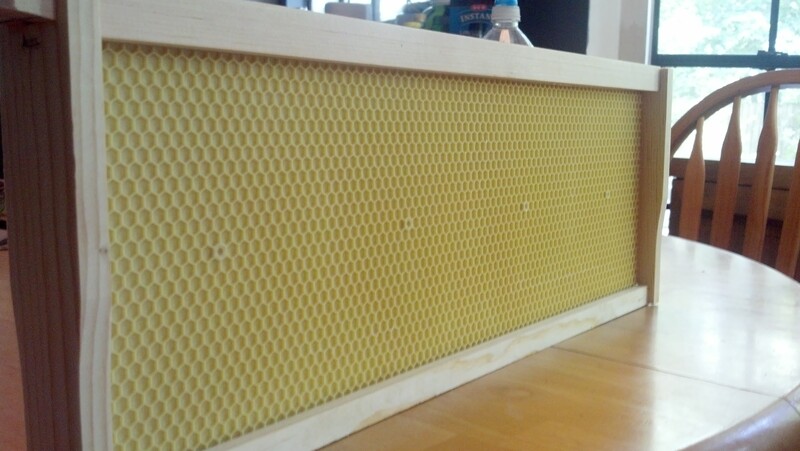 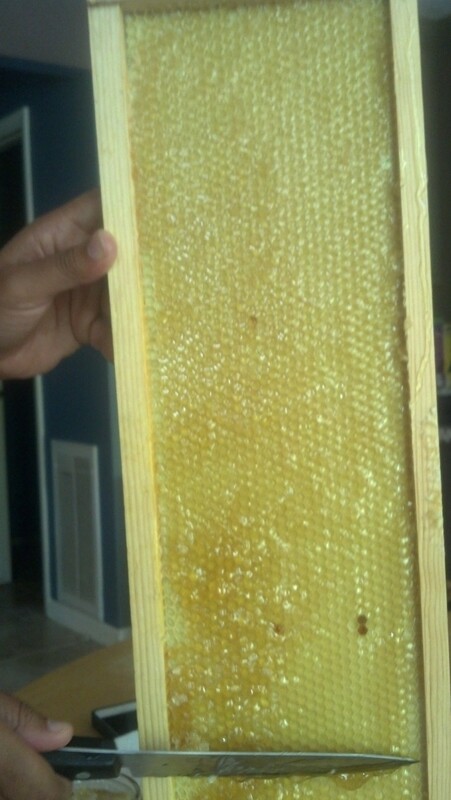 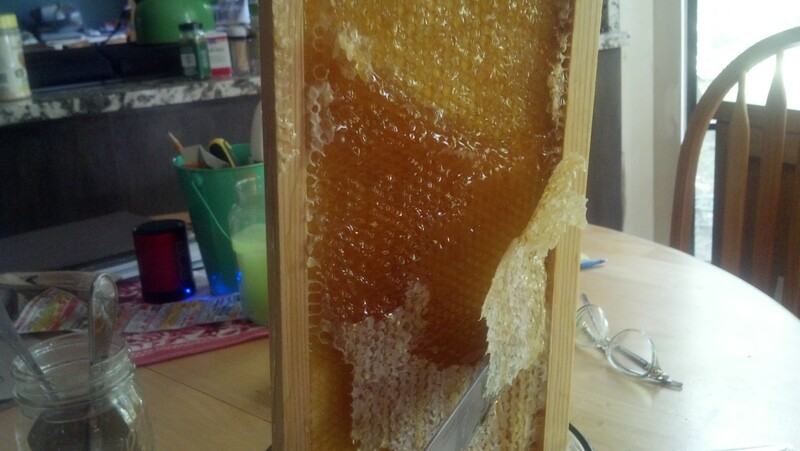 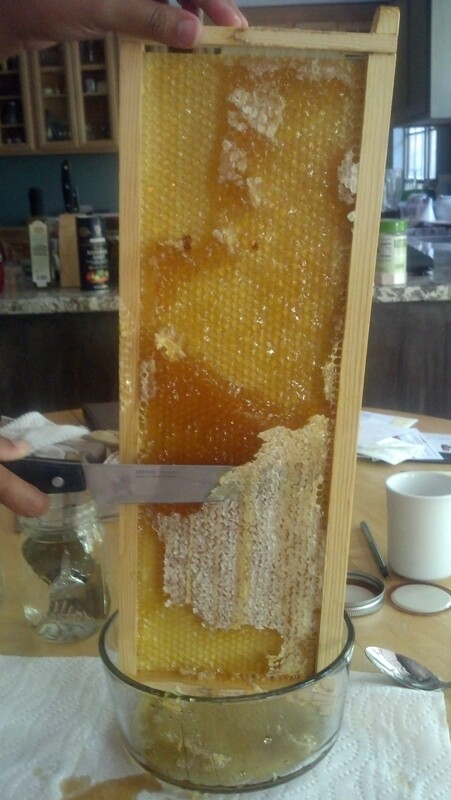 By the end of it, we had a few jars of honeycomb and seriously tasty honey. 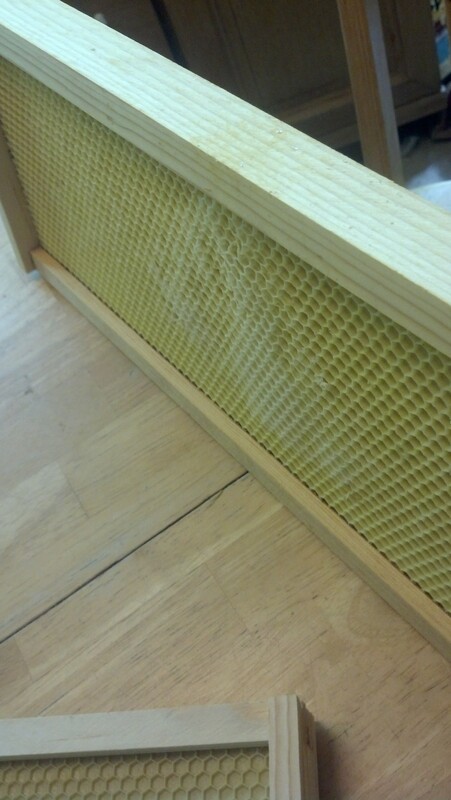 Not bad for half a frame’s work! 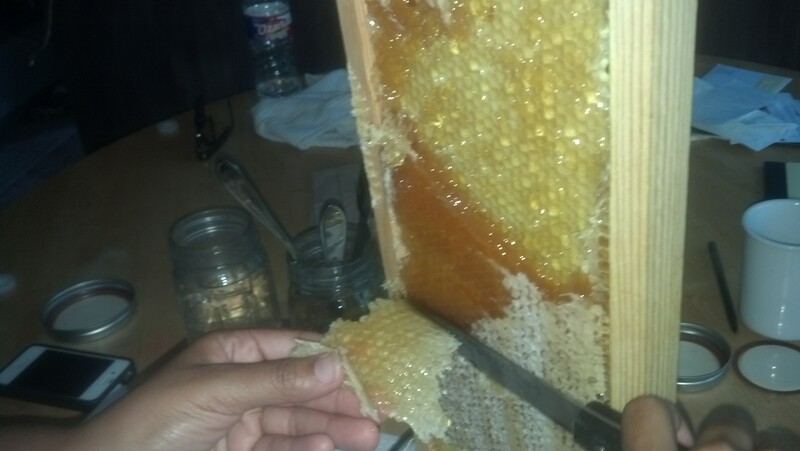 I ended up with honey up to my wrists, and I can’t say it was an unhappy time.